“Possum” is not your “axe-wielding” kind of horror movie. Nope. This is one messed up, creepy film. It’s the kind of weird movie where grotesque things infiltrate the minds of the characters and turn them into crazy. Philip (Sean Harris) is a puppeteer on the verge of insanity. I don’t know in what universe it would be thought that this grotesque spider puppet with an equally grotesque human head, named “Possum,” might be entertaining to children, yet here is Philip, carrying it around in a bag. Possum, of course, is driving Philip crazy. What would you do if you were on the verge of complete crazy? Why head back home, with your puppet, to where it appears most of your mental damage began, of course. You know, your childhood home with your creepy, sadistic stepfather, Maurice (Alun Armstrong). Yup, that’s exactly what Philip did. Philip gets home and is hell-bent on getting rid of Possum. Let’s stuff him in a garbage can. Doesn’t work. Let’s drown him, if you can drown a puppet. That doesn’t work. Let’s leave him in the forest. That doesn’t work. Let’s beat the living crap out of the puppet and leave him for “dead.” Nope, Possum, it appears, cannot be killed, but must keep coming back to torment Philip. Possum, however, is not the only things flipping Philip out because you’ve got Maurice. He is gross, sadistic, and just wants to keep messing with Philip’s mind, and of course Philip lets him. As the movie progresses we also learn that a child in town has been kidnapped, and, of course, as Philip is falling into craziness, he also begins to think that maybe he took the kid and killed him. Man, this dude has problems. Finally the climactic ending arrives. Holy crap, it’s pretty messed up, and I think we discover why Philip is as messed in the head as he is. There are scary movies where some evil monster goes around killing people, and then there are horror movies that try to penetrate the fear in your soul. Possum goes for the soul, with a well-crafted story of a man whose mind is spiraling to psychosis, combined with dreary cinematography and a creepy soundtrack to build suspense at every turn (Thanks, The Radiophonic Workshop!). 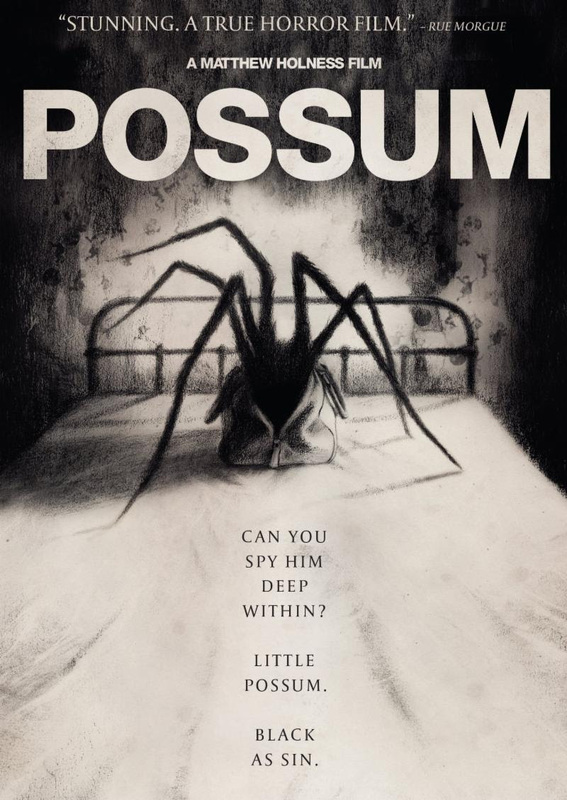 “Possum” is more likely to give you the willies rather than make you jump out of your seat. Sean Harris does a wonderful job as the dude who’s mind is about to completely short-circuit, and I haven’t seen a character as bone-chillingly creepy as Alun Armstrong’s portrayal of Maurice in a long time. With all of this, for a creepy good time, get “Possum.” 4 stars out of 5!